On paper, training for a 40k time trial looks pretty simple. After all, it is just one long sustained effort, right? During my preparation for 14 or so professional time trial championships, training for these races seemed anything but simple. I tried many different approaches in my quest for success in the “race of truth”. Through my early years there seemed to be very little rhyme or reason why some years were winners and others losers. It was hard to “see the forest through the trees”. But towards the end of my career I saw patterns and trends that were the pillars of good time trial form come race day. Eventually I had my strategy sorted into three main categories of workout objectives. If I checked all three boxes, I knew I stood a good chance when I pinned my race number on at the National Championships. Anyone who has piloted todays rocket ship time trial bikes knows that with all of the advancements in aerodynamics these bikes can feel completely different from your road bike. The muscle groups, firing patterns and handling all vary from a standard road machine. To win, you have to spend time on the bike and in the aero position. The trainer can be a great controlled environment for the work, but always maintain “road feel” with at least one or two outdoor rides per week. 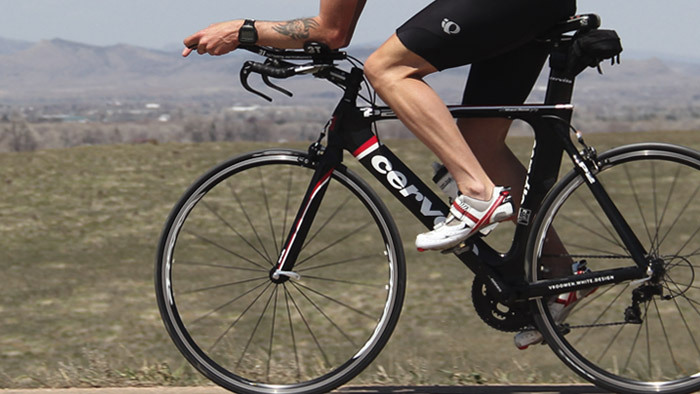 Use your TT bike for all of these workouts, maintaining your aero position. 4-6 times 4 minutes of 40-60 rpm in zone 3-4 with 4 minutes recovery between each rep. Do these on a moderate, 4-6% climb, seated and in the aero bars. A more advanced version would be 3-4 times 10 minutes. Another simple trick for time-crunched riders trying to maximize every available minute is to ride the TT bike for easy recovery rides, killing two birds with one stone. Not to get too nautical, but think of your capabilities as a lake with a fleet of boats on it. Your threshold output is the “water level” of your lake. Your energy systems are “ships” in this water. Remember, all ships rise in a high tide, so boosting this level is the base for TT dominance. 2 x 20 minutes upper zone 4/race pace with 10 minutes recovery between. These should be on terrain similar to that of your event. Use your race specific cadence and I encourage 90-100 rpm as a good range. These are tough, so break them into 5 minute sections to help your focus. 6 x 4 minutes slightly above TT pace/effort at 105-120 rpm with 1 minute recovery between each. This tease of a recovery is great for lactate tolerance, improving output and developing focus. Make sure to pace yourself. This is more like one 30 minute effort than individual 4 minute ones! Not everyone has access or the experience necessary for this, but it is a powerful training tool for those that do. Riding in the draft of a scooter naturally improves pedaling dynamics, leg speed and simulates greater than race speeds. Shoot for 60 minutes of this at zone 3-4 heart rates. Heart rate is a better intensity gauge than watts which will be very sporadic during motor pacing. Training for a time trial isn’t easy. It requires some specific work to become proficient, comfortable and fast. But, for those that like to test themselves in the truest manner possible, there is no better way than the time trial. Chris Baldwin is a recently retired 15-year professional cyclist and coach with DaybyDay Coaching. With wins across the globe including 2 National Time Trial titles. DaybyDay Coaching was formed to bring real professional experience and the world of science to the athlete in a manner that is practical, using experience and scientific theory, while acknowledging the difference between science and the art of coaching. Consisting of like-minded coaches and a network of professionals who are experts in their field, DaybyDay Coaching is a performance orientated coaching service for cyclists and triathletes of all levels.